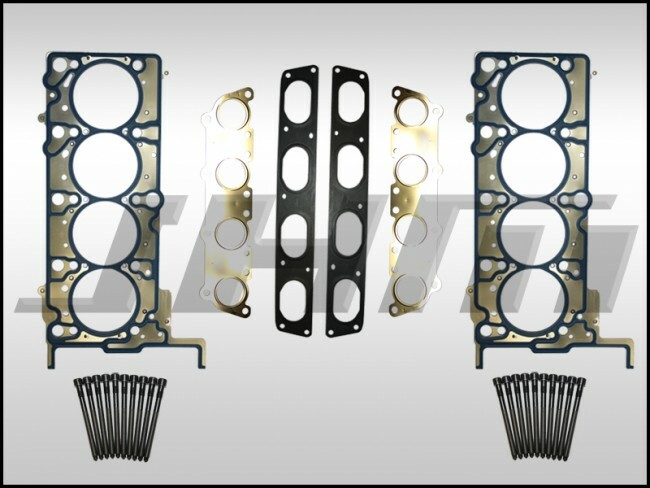 This Head Gasket Set contains all the gaskets, bolts, and seals you need to replace when removing and replacing the heads on your B6-B7 S4 4.2L. These are all high quality, replacement gaskets made by Victor Reinz and Elring. 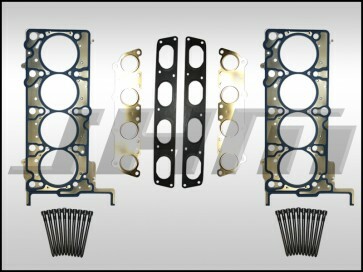 Consider adding our OEM Valve Cover Gasket Kit with Cam and Spark Plug Seals as well! That kit can be found in the same section.